Several years of campaigning have paid off as Dover in Kent has been told it will have Channel Tunnel Rail Link (CTRL) services into London. The Department for Transport said hourly high-speed services would run between Dover Priory and London St Pancras from December 2009. Journeys from the Kent coast into the capital will take just over an hour. 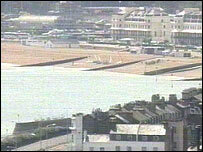 Dover council and MP Gwyn Prosser called the news a "landmark decision" and "nothing short of monumental". Twenty-nine Hitachi class 395 trains, with a top speed of 140mph (225km/h), will operate on the CTRL. 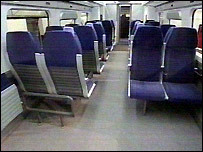 Journey times will be cut between London and Ashford, Canterbury, Folkestone and Ramsgate. Transport Minister Stephen Ladyman said on Friday: "The extension of these services to Dover is an important boost for the town. "Rail passengers in Dover will be able to travel to London up to 40 minutes faster than today." District council leader, Councillor Paul Watkins, said getting Dover added to the CTRL route was "something we have been consistently lobbying for". Mr Prosser, the Labour MP for Dover, added: "Linking up one of the busiest cities in the country to the busiest ferry port in the world provides us with the biggest single boost to our plans for regeneration and job creation for more than a generation." Network Rail will undertake improvements to the Shakespeare Tunnel near Dover to make it safe for the Hitachi trains to use.